Lunges are an excellent way to fire up your hamstrings, quads, and gluteus. The great thing about lunges is the variations they have. You can perform lunges with kettle-bells, barbells, weights, or just on their own. Just like any other exercise, however, form is key to maximize results and minimize injury. 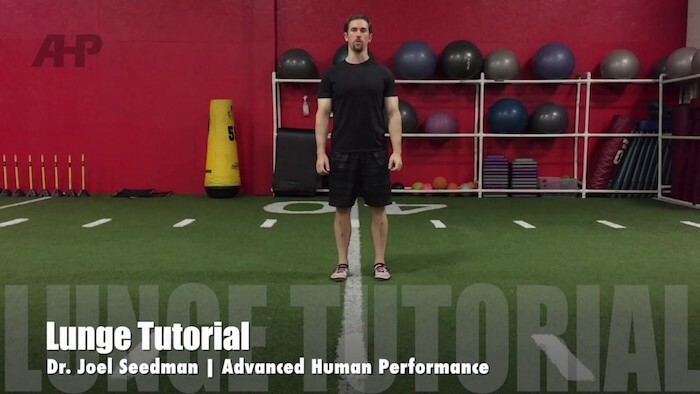 Dr. Joel Seedman explains how keeping a forward lean when performing a lunge proves beneficially. The most important thing is actually going to be making sure that you have an optimal forward lean and hip hinge mechanics that basically go hand and hand with one another. It is absolutely imperative that the starting position starts with a good forward lean. Keep your torso bent over with the forward lean; this will ensure the front knee is not shooting forward. By doing so, you are putting a good strain on the gluteus and the hip muscles. 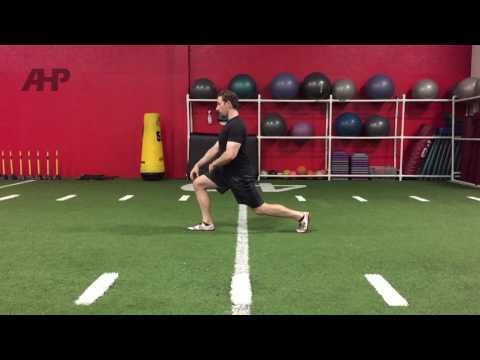 By keeping a forward lean in your lunge, you are allowing your muscles to perform in the most optimal way, while lifting negative and unnecessary strain off of your joints. Ensure you are not too upright when starting your lunge. This can cause hyper extension of the lower back. Do not squeeze your glutes too much at the beginning. This movement should be done whilst performing the lunge, but do not strain the gluteus muscles too much. Keep your back leg elevated and do not sag it. When it comes to your front leg, ensure your toes do not pass your knee. Keep your leg in a 90 degree angle when performing the movement.